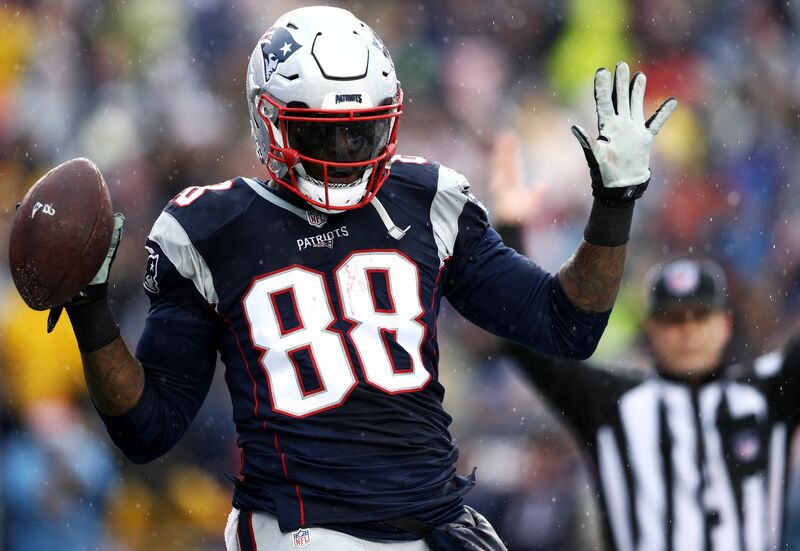 Green Bay Packers’ tight end Martellus Bennett slept in the locker room after he wasn’t able to get into the training camp dorms. The Green Bay Packers are one of the few teams that typically don’t sign very free agents, but this offseason they added a few weapons for QB Aaron Rodgers. They added tight ends Martellus Bennett and Lance Kendricks to the fold for Rodgers to throw to, but it looks like Bennett hasn’t gotten into the building yet. So the Packers needed to report on Tuesday, but the Packers’ TE didn’t get into the dorm room at the local university they were staying at. Bennett had difficulty entering his quarters at St. Norbert College, so what does he decide to do? Just go spend the night somewhere else. But where in Green Bay can one find a room for the night? Why not the locker room in Lambeau Field to sleep in? Not only did Bennett get to spend time in the locker room by himself, the outspoken tight end had to make sure to get his experience on Instagram, as you can see on this video he posted below. Coach Mike McCarthy didn’t even know his tight end was sleeping in the building. Here’s what the Packers’ head coach had to say when he spoke to the media on Wednesday. I didn’t check. I don’t know anything about it. I was here late last night, so he must have came after I left. I don’t usually check lockers for people sleeping. Bennett has big expectations with the Packers this season, after winning the Super Bowl with the New England Patriots. He’s going to be a big target for Rodgers, especially in the red zone. The Packers’ QB seemed to trust his tight ends last year, and it’s only going to get better this season with Bennett.